Sunday Riley is such a super hyped brand within the beauty community but I hadn’t even tried any of their products until recently, and I definitely felt like I was missing out as everyone raves about the brand on blogs and social media. I wasn’t entirely sure where to start, but I kicked off my Sunday Riley experience with the Sunday Riley Tidal Brightening Enzyme Water Cream, the Sunday Riley UFO Ultra Clarifying Face Oil and Sunday Riley Martian Mattifying Melting Water Gel Toner which I featured in a Sunday Riley brand spotlight on my blog a couple of weeks ago. 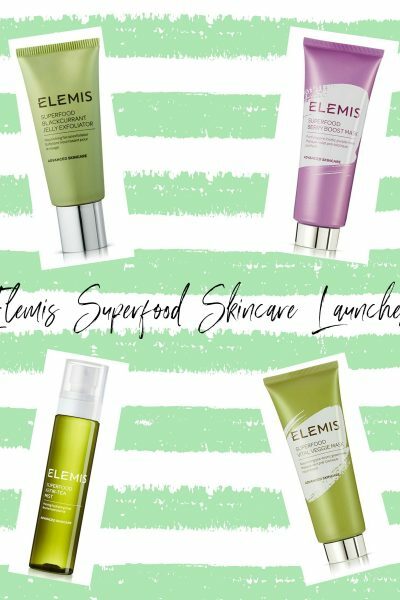 As somebody new to the brand, I feel as if all the hype is concentrated on their range of facial oils, and the other products in the collection are often forgotten. 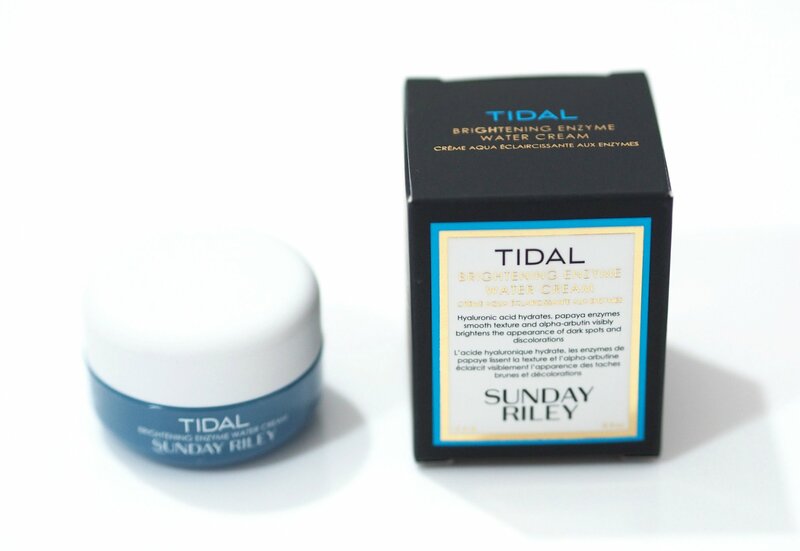 I chose the Sunday Riley Tidal Brightening Enzyme Water Cream as I was instantly intrigued by the water cream consistency and the hyaluronic acid as I know my skin reacts really well to hyaluronic based skincare products. The cream is available in two sizes; 15ml for £20 and 50ml for £60 from Cult Beauty. I like that a luxury skincare brand like Sunday Riley offers a deluxe travel sized of some of their products, so you can try them to see what you think before splashing out on the full size. I have to 15ml size and there’s no doubt, it’s pretty tiny for a moisturiser but I’ve used it everyday for a month and it’s just over half used but I’ve been very generous with my moisturiser during January as my skin’s been so, so dry but for skin that’s more normal to dry, I think this size could last for three months. 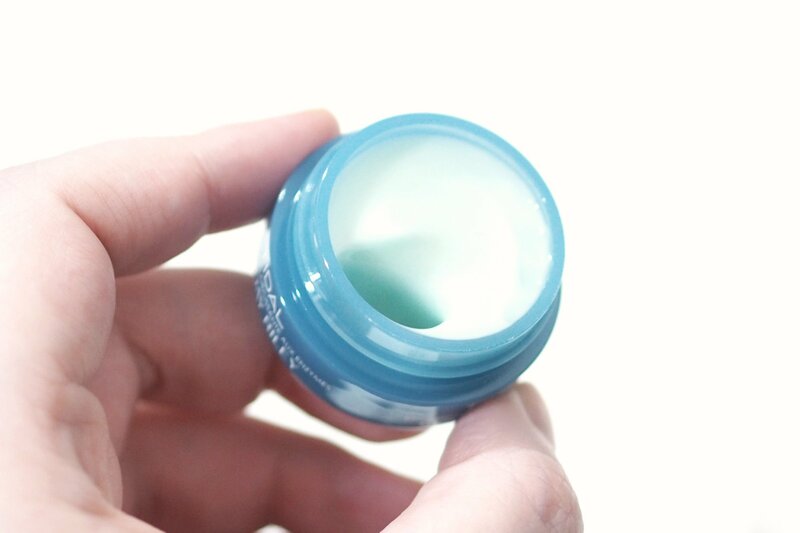 A lightweight, oil-free gel-cream for instantly glowing, dewy skin. Two forms of advanced hyaluronic acid infuse water into the skin. Gently refining papaya enzymes smooth the look of textured or dehydrated skin, for a baby-soft complexion. Alpha-arbutin brightens the appearance of discolorations for clear radiance. 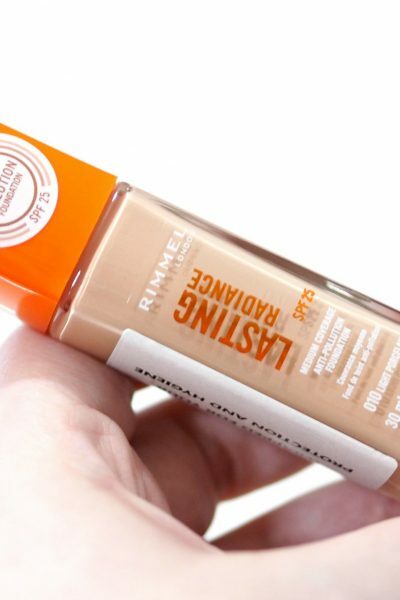 FORMULATED FOR: Balanced / Dry/Dehydrated / Combination / Sensitive Skin. The cream can be applied both morning and night, and applied over Luna or Good Genes should you own them. 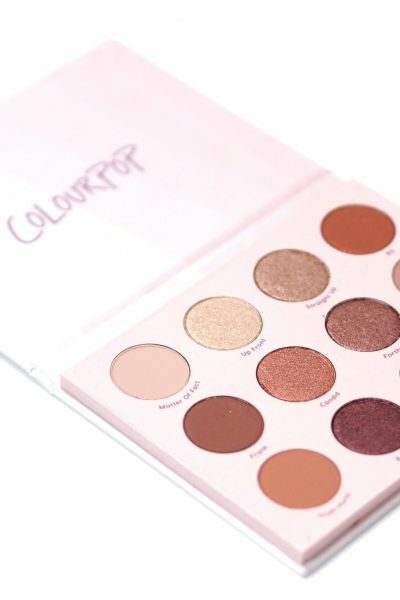 It can even be patted on after makeup application for instant radiance and to keep foundation hydrated. Within fifteen minutes the skin will look and feel smoother, and hydration is significantly increased. The description of the moisturiser delivering an intense water drench thanks to two forms of hyaluronic acid and tamarind extract reeled me in, as I need all of the hydration I can get. 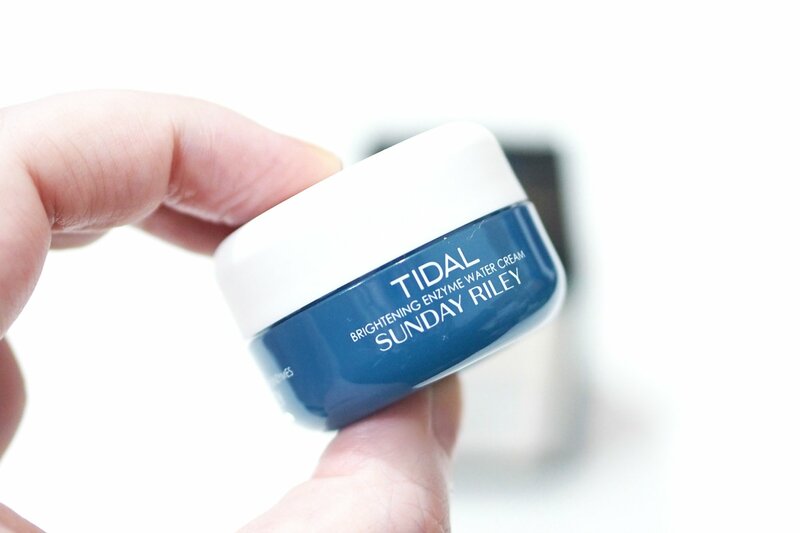 The Sunday Riley Tidal Brightening Enzyme Water Cream delivers on its water cream claims, as it’s in a cream format within the jar, but once you’ve scooped some out and start working it into the skin, it really does feel like water on your fingertips. It leaves zero residue on the skin even though it’s super hydrating, but it’s not rich which really surprised me. More hydrating formulas tend to be quite rich and leave the skin looking extremely shiny but that’s not the case with Tidal. I have been using the Sunday Riley Tidal Brightening Enzyme Water Cream alongside Martian and UFO so I can’t say for sure if this particular product has brightened my skin alone, but it’s definitely helped boost the hydration and softness of my skin. My favourite benefit I’ve found is the minimisation of the dehydration lines on the tops of my cheeks, as they’re barely visible now and it’s definitely down to Tidal. I like that this lovely, luxurious cream contains enzymes to slough away dead skin cells and it’s the ideal morning moisturiser as it layers well under makeup with the lack of residue, and it doesn’t ball up either. If you wanted to try Sunday Riley for the first time, I think this moisturiser would be a good starting product as it’s so gentle and available in the 15ml trial size. Have you ever tried anything from Sunday Riley before?